The first thing I thought when I looked at this photo was "floating flowers". They look so airy and delicate, as if they were about to float through the air. Not sure what they are except that they cluster like hydrangeas. The leaves look different though. And as long as you are identifying things, can I eat these leaves? We bought a lot of plants at garden sale - all edible - but now we can't remember what they are. This one is huge and taking over the little garden plot. First photo is a hydrangea. We bought the same one last year. It will change colors as fall approaches. Your mystery vegetable is kale. Eat it! Eat lots of it! Raw, braised, stir-fried or baked into chips -- it's good for you! The upper photo: if it's vine-like, it's probably climbing hydrangea, which grows to be a very big plant. 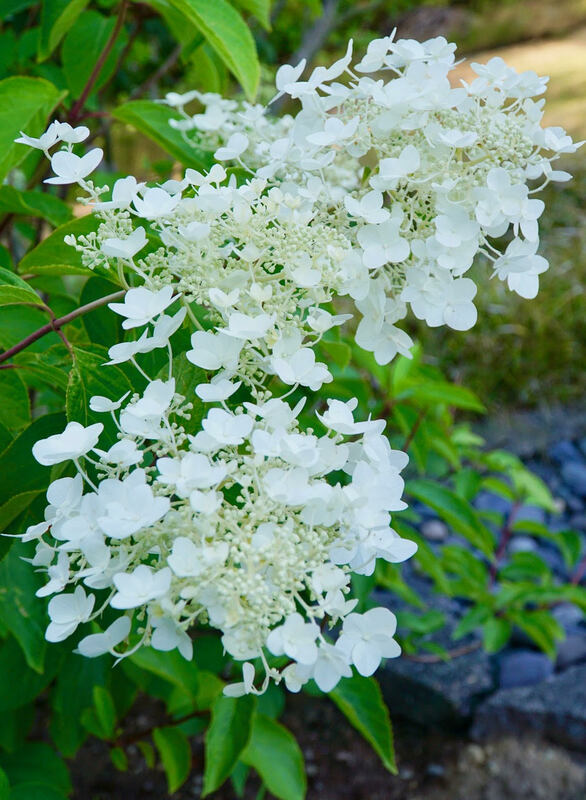 Another gorgeous variety is oak-leaf hydrangea, but the leaves you show don't look like that one. The lower photo is kale -- eminently edible, but discard the stalk. Raw: choose young leaves, chop them, then crush/knead them with your hands to soften them. Excellent with a vinaigrette and cheese. But they are much tastier, I think, cooked down for about an hour in chicken broth with onion and garlic until the broth evaporates. With soft cheese, yum! Kale also freezes beautifully for winter greens: remove stems, chop, stuff a quart ziplock bag and press the air out. The top is a Lacecap Hydrangea! They come in many colors, including a beautiful climbing vine variety. 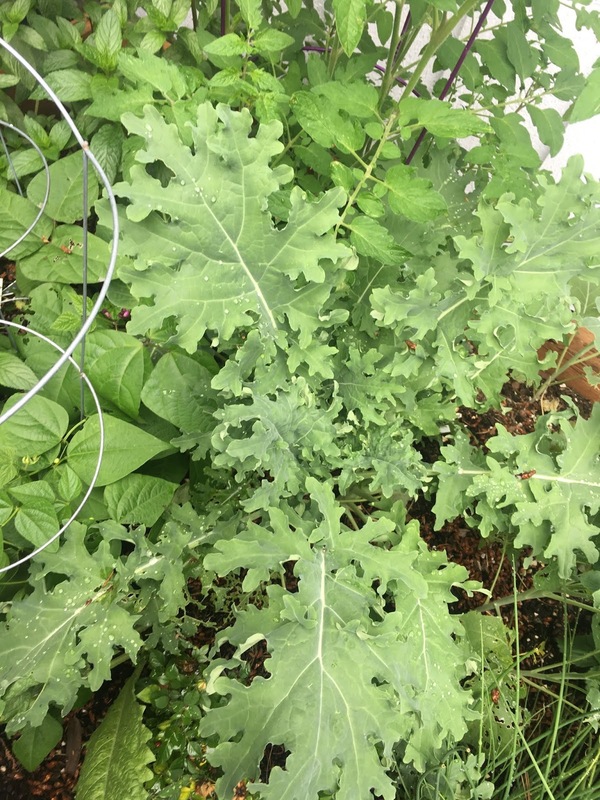 I'm unsure about the lower photo leaves, though it LOOKS (unsure) like a kale variety.